New Strength For Service Now Available! Books for first responders are now available! 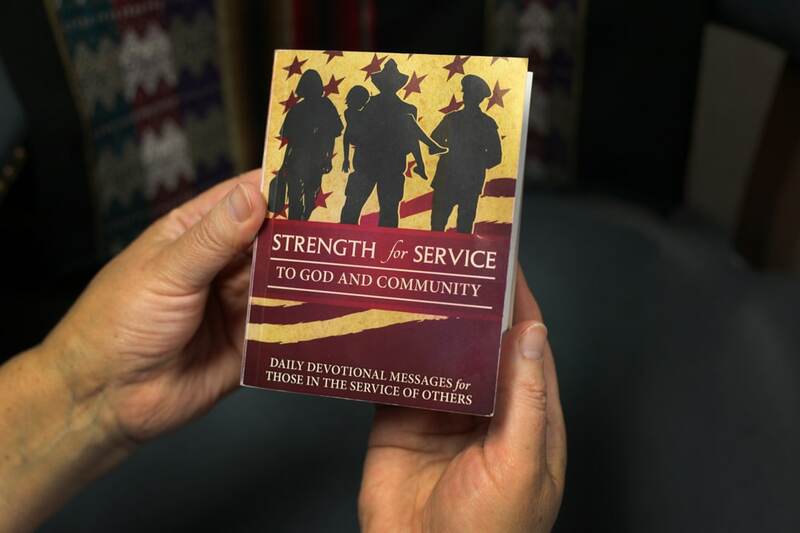 Individual copies of Strength for Service to God and Community are now available from Amazon at a cost of $11.95 each. Books in quantities of 25 or more copies are available from Eight-Eleven Press at a cost of $7 each (Groups that want to purchase 1,000 or more copies of the book may have their name and group logo imprinted on the back cover. The cost of that service depends upon the number of books printed: 1,000-4,999 ($6 per book); 5,000-9,999 copies ($5 per book) and more than 10,000 copies ($4 per book). CLICK HERE to order bulk quantities from Eight-Eleven Press. The books may be delivered to a single address for the benefactor to distribute, or the books can be distributed by the publisher. For example, the books can be distributed to national or regional groups of fire fighters or police officers. For additional information, contact Larry Coppock, director of the Strength for Service Fund (lcoppock@gcumm.org) (615-620-7261).